There are some people who consider the entire space of equities as akin to gambling. They may have dabbled in it briefly, burnt their fingers in a downturn and exited, having reinforced their initial belief system. Then there are those who understand the difference between long term value investing and the various instruments of trading, such as short term holding, day trading, BTST (buy today sell tomorrow), futures and options etc. The objective of this article is to try and get into the nuances of these instruments and examine if they are all sheer “gambling”. To begin with, there is some credence to the belief that the stock market is indeed a form of gambling, especially in certain scenarios. And the reason is that there is only one thing for certain in the stock market. It is impossible for anyone to perfectly predict the future in the stock market. No expert can genuinely do this at an aggregate or individual stock level, however much information they may have. No one can foresee the occurrence of a black swan event. Hence if someone says a scrip is a “sure bet” in x days, then you know they are winging it a little bit. Most experts who appear on TV screens and coffee room discussions are like soothsayers who can look at the circumstances and make a fair guess at what could happen. But that’s about it. The thing about probability is that its accuracy vastly improves if you can stretch the period of time over which it operates. This creates the fundamental difference between long term investing and various forms of trading. If you can gather as many complex factors as possible to calculate probability, make a forecast and give it a broad enough swathe of time, then the possibility that the forecasted event will happen within that period becomes fairly high. Only in this scenario, can we seriously start pulling stock investing out of the “gambling” zone. Conversely, all short term transactions tend to suffer from poor predictability (unless one has insider information). In addition, some short term transactions typically tend to be leveraged (using borrowed money on top of ones own). This means that the ability to hold out is even shorter, bringing it very, very close to gambling. Does that mean one should avoid all short term instruments like the plague? Well, not necessarily. My personal belief is that one can ring fence a small corpus and set it aside for trading. This helps satisfy the “greedy gambler” that exists within all of us at some level and prevents the larger portfolio from getting damaged by an uncontrollable urge that takes over at some stage in the market J. To paraphrase Gordon Gecko “Greed is good”… but do make sure it is caged in! So what are the short term instruments and how do they fare in relative strength to each other? Having accepted that they are all risky propositions, it becomes obvious that one can only manage the degree of risk. This brings us to one of the most important investing insights that is very rarely discussed. Successful investors always focus on minimizing risk vs possible rewards, not merely managing for maximum gain. The reason is very simple. Minimizing risk is in our hands to some extent. Driving outcomes is almost completely out of our control. Hence in probability terms, it makes far more sense to minimize risk than try and manage outcomes (or results, profits… whatever we want to call it). Keeping this in mind, let us look at the various short term options available in the market today. These are my impressions after having dabbled with all of them. Short term holding or “churning”: A process where one keeps short term price targets, get out when the target is hit and shifts to the next popular stock. Typically within ranges of 1 to 6 months. This tends to be popular with some folks because it gives an illusion of control and keeps you engaged with your portfolio. But there is enough research now to show that constantly buying and selling produces no better returns than a portfolio that is a simple buy and hold over say, 5 or 8 years. In fact it uses up more time, you pay more taxes and very often you make lower returns, because it negates the power of compounding! 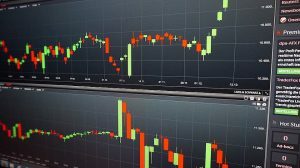 Day trading or Intraday: An extreme version of short term, typically where large amounts of borrowed money is used to profit from movements in stock price within one day. If anything can be called sheer gambling, this is it. There is an entire industry built around sharing tips and manipulating share prices. Historical data shows that a vast majority of retail day traders lose money very quickly and in large amounts. It may be possible to make money in day trading by keeping expectations low and strictly managing stop losses. But having done it, I can express my opinion that this is a mugs game. 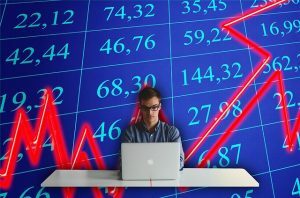 It traps unwary investors who do not have super computers and algorithmic trading engines behind them. The risk profile is way too high. Time commitment is insane as you have to be stuck to the screen the entire day. My suggestion would be to strictly avoid. Futures & Options: Both futures and options are like “advance payments”. You pay a certain amount as a guarantee towards buying or selling a particular stock at a pre-defined price & quantity on a future date. The difference is that in futures, you have to buy or sell the entire lot when the defined date comes up. While in Options, you could choose to forgo the advance amount and not complete the transaction. These are both slightly better instruments than day trading as you can apply thought to why a scrip should rise or fall and have the time to ride the mkt. Typically the contract period is for a month and you also get the opportunity to sell your deal to someone else in the meantime. Meaning you can continue to trade your f&o commitments throughout the contract period, if you feel it isn’t going your way. Why does f&o exist? It was typically designed by large funds as a form of insurance. They would take large hedging positions to protect themselves in case something went wrong with their deals. If nothing went wrong, they would only lose the advance, or margin money. But now it has become a trading engine like everything else. Of the lot, I find options to be most advantageous, because one can manage risk accurately. We know that the most money we can lose is the advance or margin money paid. If the stock does not rise by date of expiry, we walk away and lose the advance. But if it does rise, then upside is potentially unlimited! In my opinion, this combination of limited downside and unlimited upside makes options an attractive instrument within the risky basket. This entry was posted in finance and tagged day trading, equity, futures, intraday, options, short term trading, trading. Bookmark the permalink.